LD Andy Rushing and 4Wall Nashville Light Kari Jobe’s The Garden Tour | Press Center | 4Wall Entertainment, Inc.
Nashville, TN- Grammy nominated artist and Worship Leader Kari Jobe hit the road for The Garden Tour this year. In support of her highly-anticipated album, The Garden, Jobe embarked on a 30-city tour around the country. 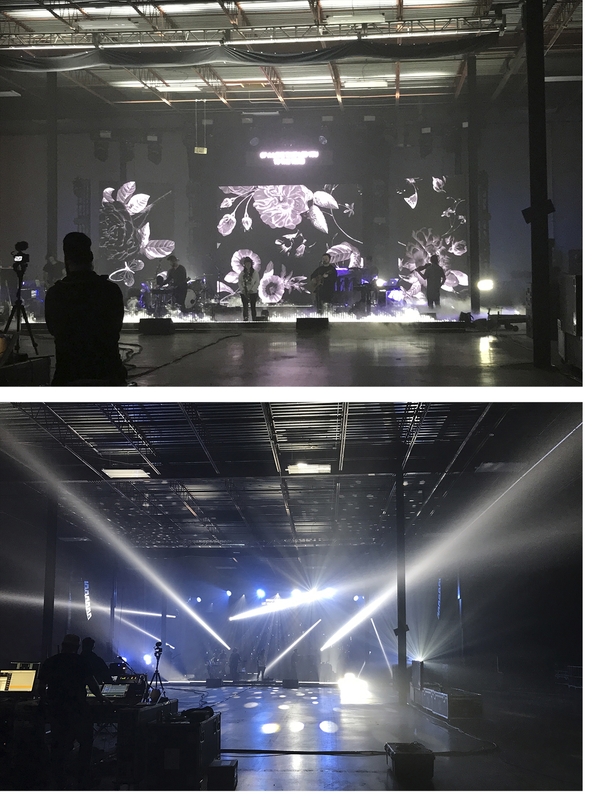 Lighting Designer Andy Rushing was tasked with lighting the tour utilizing 4Wall Nashville's all-new rehearsal space and gear. Rushing has been designing for Jobe for nearly 2 years. Over that period of time, an upgraded rig was in order due to the tremendous growth of the tour. "When I started 2 years ago, we had a road case of Edison bulbs and a handful of MAC 101's," explained Rushing. "Now we have no conventional lighting and a rig of over 80 fixtures, 60 of which are moving lights." Planning for The Garden Tour commenced in September 2016. The rig and lighting design were finalized by the start of December 2016. The goal of the lighting design was to create a worship experience that would leave a lasting impression on every person who attended one of the shows. "We also wanted to create space with the lighting as well as compliment what the video content was conveying," said Rushing. The rig consists of a 24' upstage truss on two Genie Lifts and two 8' wing truss on either side angled inward on separate Genie Lifts. "We also have four 14' tall truss towers and four sets of 5' GT Truss that roll in on the side of the stage for side lighting," explained Rushing. "In addition to that, there are four video carts that roll onto the stage and create a 32' wide by 14' tall back screen." Rushing started programming at the beginning of January at 4Wall Nashville's new rehearsal space. The LD and Kari Jobe's crew were among the first to fully take advantage of the 29,000-sq. ft. space. "We absolutely loved being in the new 4Wall rehearsal space," said the LD. "We had more room than we could have asked for, and Kari and the band loved the natural light that came in, as it didn't feel like a dungeon like most rehearsal spaces." 4Wall Nashville provided GLP X4 Bars that were utilized as a border for the downstage edge and for an upstage line behind the band. "This allowed me to create a box around the stage which achieves a really nice floor effect for some moments," said Rushing. The lens effects of the Clay Paky B-Eye fixtures were a perfect fit for this tour. "Since this was The Garden Tour, I could create a flower effect with the B -Eyes that added a nice look to the stage," explained the LD. Martin MAC Viper Profiles and ROBE Robin Pointes were also a key part of the design. "The ROBE Pointes are super flexible going from beam to spot looks," said Rushing. TMB Solaris Flares were great for side lighting as well as providing a nice punch through the rig for crowd looks. Rushing also positioned numerous GLP Impression X4S fixtures around the stage due to their small size. "I would sneak them into looks and you wouldn't be able to tell where the light was coming from, "explained Rushing. 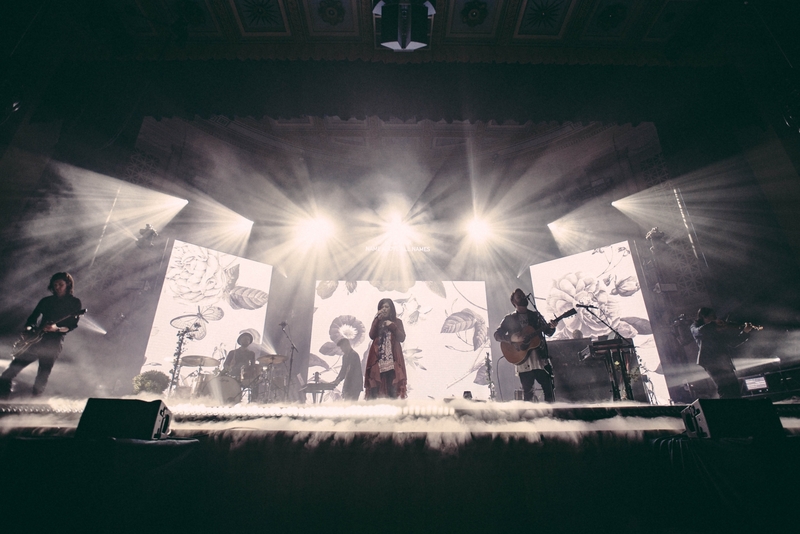 The LD spoke highly of 4Wall's involvement in helping him create another successful lighting design for Kari Jobe. "As always, 4Wall has been amazing to us. They've provided all the gear we needed and bent over backwards for me to help get everything prepped and built for the tour."